Just this time last year, I found myself asking this exact question. I was searching for my first “big kid job” and never would have thought I would find myself working and living in Mansfield, Ohio. Being a native Clevelander, I’ve witnessed first-hand the trials and tribulations of the Northeastern area. However, the City of Cleveland has miraculously found a way to pull itself up by the bootstraps and make changes for the better. All of the passion, hard work, determination, and faith of local leaders, as well as that of area residents, have invested into the revitalization of the 216 have turned CLE into one of America’s hottest cities. I see many of the same characteristics and patterns happening here in Mansfield/Richland County and sincerely believe that this piece of North Central Ohio is a true gem. It also has the potential to gain national recognition… for all the right reasons. To reinvent one’s self is a tremendous struggle. Think about all the times you’ve tried to drastically change your diet, your exercise routine, etc. From a health behavior and psychological perspective, humans are very good at setting goals but have difficulty achieving them. We are motivated by negative emotions. We get trapped by thinking/believing fallacies. We try to “eat the entire elephant” at one time. We neglect the tools/resources available to us. We try to change too much. We underestimate the process of change. We forget that failure is usually a given. We don’t make a commitment to change. The key to success is making the new behaviors rewarding. Two approaches to this strategy are increasing reward with personal sources of value (i.e., linking the new behavior with core values and beliefs that are central to an individual’s identity) and increasing reward with social value (i.e., leveraging social norms and interpersonal relationships to increase the importance of the goal). Both of these methods have an advantage over tangible forms of value, such as money, because they can be far more enduring and universal. Money has the ability to run out and does not have the same meaning for all people, but we all have a set of core values and care deeply about our social ties. These characteristics are what make the City of Mansfield/Richland County community so special, unique, and meaningful. The residents of this community are incredibly generous and have a grand sense of pride for the area that they live in. I constantly hear the locals expressing to me that they think the City of Mansfield/Richland County is a great place to live, yet, there is always a “but…” that follows. The theme of the “but…” seems to be that the area is a great place to be, BUT we’re at the precipice of being excellent, we’re just not “there yet.” The “want” and the “drive” to see the Renaissance of the community is there, however, we need to do more as a cohesive collaborative effort to make this dream come to fruition. This is going to take vision, leadership, and commitment from all sectors of the local community. And although these positive changes will take an incredible amount of time and effort, there’s no better time than the present to get involved in the regeneration of our community. During the 12-months I’ve lived and worked here in Mansfield/Richland County, I’ve had the pleasure to observe and be a part of our area’s transformation. I am incredibly impressed with the activities, resources, programs, and local organizations/businesses this area has to offer. There is never a day or a night of the week where I can’t find anything to do in the City of Mansfield/Richland County. Yet, there is still work to do to ensure the continued success of our community. Paving these new roads is simultaneously exciting and exhausting labor. 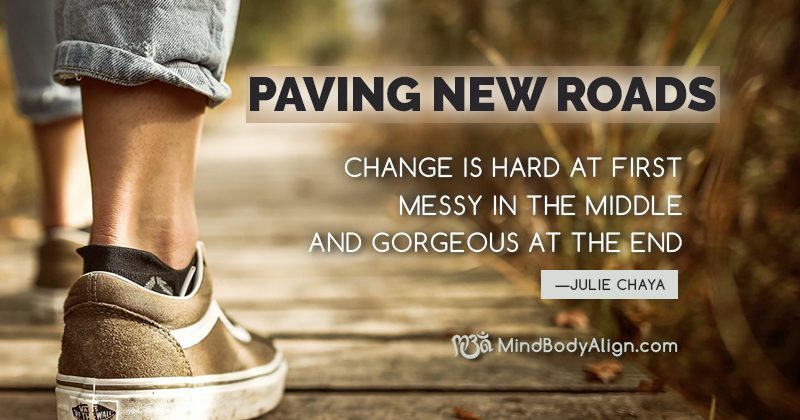 However, keep in mind that change is hard at first, messy in the middle, and gorgeous at the end. If the City of Cleveland can go from “The Mistake on the Lake” to “Believeland,” I have no doubt in my mind that the City of Mansfield can change its perception as “Danger City” to “Dreamfield” in the not too distant future. Julie Chaya is the Director of Community Health & Prevention Sciences at Richland Public Health. She has an M.A. in Human Development & Family Studies, an M.Ed. in Health Education & Promotion, and currently finishing her Ph.D. in Health Education & Promotion at Kent State University. Her dissertation research is on mid-life (ages 50+) women’s intentions to search for sexual health information online and her scholarly work has been published in academic journals, books, and is consistently invited to present at national health-related conferences across the U.S. Over the past year, Julie has tirelessly worked towards obtaining grant funding to develop and implement innovative health initiatives across Richland County. 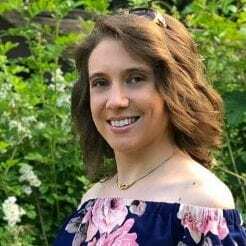 She looks forward to making further contributions in the future that provide Richland County residents a fun and healthy environment to work, live, and play.